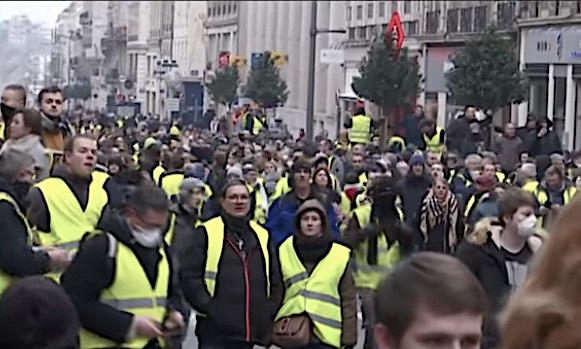 Home ABOMINATIONS Macron gets tough—police applying more aggressive tactics to demoralize the Yellow Vests. But the strategy won’t work. Because France has been boiling for years and the Yellow Vests is just the latest, perhaps broadest, manifestation—so far thinly led—of opposition to neoliberalism’s rapaciousness. Simply put, if the symptoms of the disease don’t disappear the backlash won’t either.